Every once in a while I like to have a guest blog post. Scott Huntington from Off The Throttle has guest posted for me before. He is an automotive journalist. Here is his take on prepping for a first time off-road trip. Far too many SUVs go their entire lives without venturing off paved roads. Jeep owners are notorious for being the most likely to take the plunge and experience what their vehicles can do on dirt trails. It’s a good feeling to know you’ve enjoyed the all-terrain capability of one of the finest off-roaders available today, but there are certainly right and wrong ways to explore off-roading for the first time. While you should be excited to hit the trail, you also need to keep your wits about you. 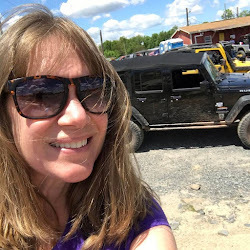 Making sure your Jeep is ready for a day in the dirt and taking preparatory steps before your off-road adventure is the best way to come away happy and guarantee more fun in the future. Even if your Jeep is bone-stock, it has the off-road pedigree to tackle rough terrain just the way it rolled off the lot. 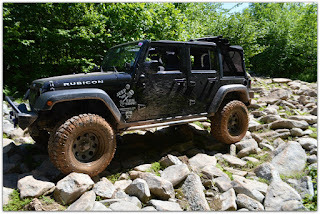 During my most recent adventure in Virginia, I witnessed first-hand how capable a stock Jeep Rubicon is. Even if you’re running a Wrangler Sport or Sahara without the upgraded four-wheel-drive system, you’ve still got one of the scrappiest trucks on the road from the factory. If you feel compelled to bolt things on, underbody protection is a good place to start. Skid plates to protect your oil pan and differential make an great first modification. A set of off-road tires like the Destination MT2s I tested will also do you well, just make sure you find the right balance of off-road and street ability in the tread pattern. More important than adding parts is knowing how to use the ones you’ve got and trusting they’re in working order. 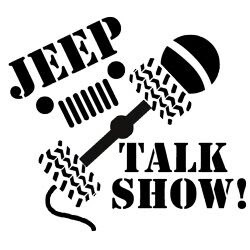 Before your first outing, make sure your fluids are all where they should be and understand how to operate your Jeep’s transfer case. 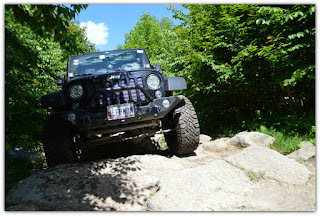 What’s more important than outfitting your Jeep with new parts is having the foresight to plan your trail outing right. That could mean bringing a friend with you in case you get stuck, packing enough food and water to make it through the day and telling other people where you’re going. Remember that when you’re done, it’s important to wash your Jeep and check for things like windshield damage. You can also prepare for your first mud-slinging ride in the woods by visiting technical terrain nearby. This will be easier for some drivers than others since those who live in urban settings can’t get the tires dirty without going on a long journey. If there’s a creek crossing or steep unpaved road that you can access without committing to a day on the trail, give yourself a preview to get a feel behind the wheel. 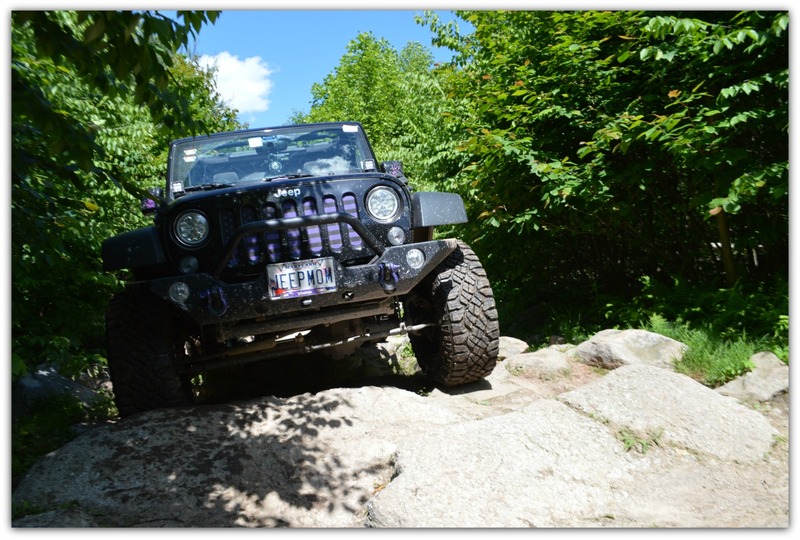 Off-roading is a great hobby that just about anyone with a Jeep or four-wheel drive can take part in. Hitting the dirt is enough to put a smile on most people’s faces, but keep things within reason. You’re not Ivan Stewart, and this isn’t the Baja 1000. 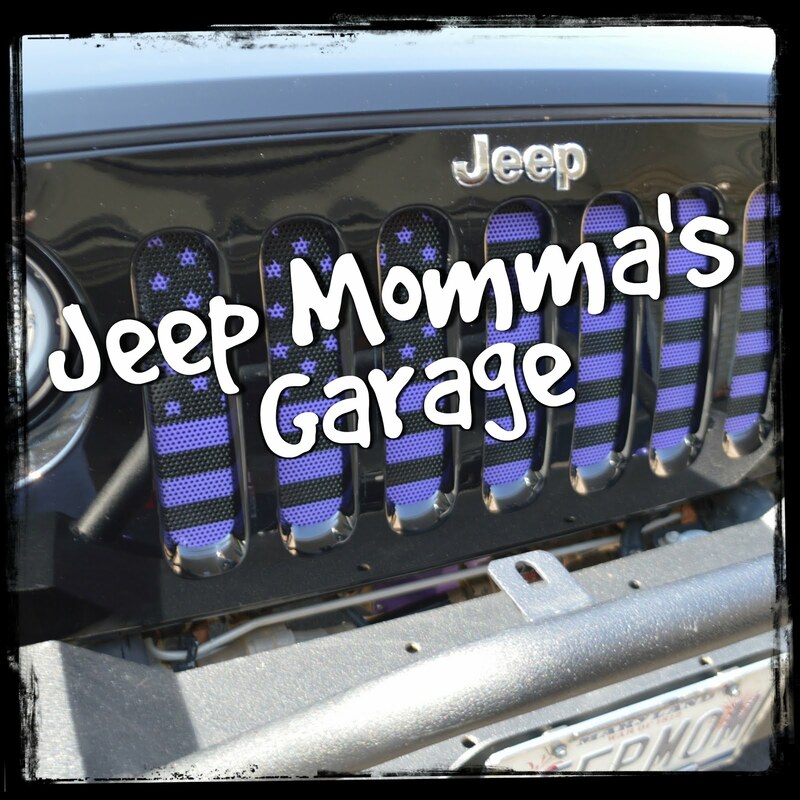 Keep these tips in mind, and you’ll come away with an intact Jeep and happy passengers. That should be enough to make you smile, too.